Tests and Assessments in Counseling provides students with current information on assessment tools and techniques through detailed case scenarios and vignettes. 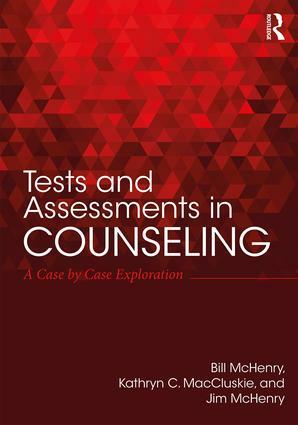 Going beyond basic information about a multitude of assessments, the authors focus on the use of instruments in individual cases to allow readers to more fully grasp the integral relationship between tests and assessment data and the counseling process. Chapters guide students through choosing the most effective assessment tool, successfully administering the assessment, and making meaningful and useful results of the data with the client. Test questions are also included at the end of each chapter.